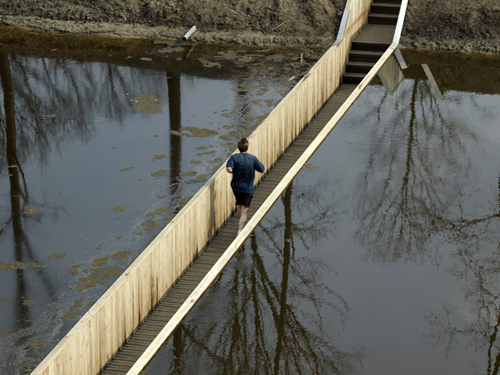 Who says, that a bridge allways has to built across the river? 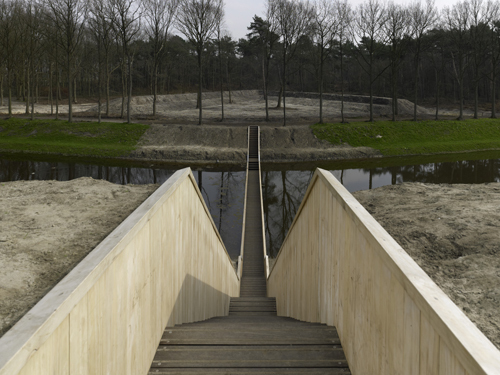 This incredible sunken bridge located in the Netherlands is giving visitors a fascinating walk through a beautiful 17th Century Dutch fort. Yes, the waters have parted! 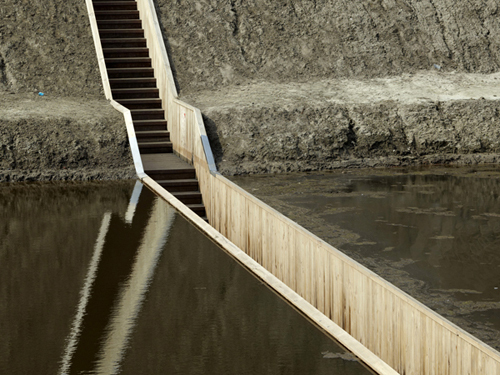 The Dutch architecture office RO & AD Architects designed a bridge for the West Brabant Water Line in Halsteren, Netherlands.